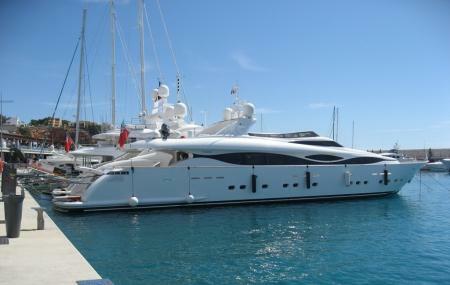 Built in 1992, Port Adriano is a marina for boats and yacht. It is considered as the reference point to explore some of the best coasts in the Mediterranean. In recent time, the port has expanded and become one of the suitable ports of Balearic Islands and is said to be the most equipped marina in the Mediterranean. So, if you wish to see true flavor of ‘the port business’, come to Port Adriano. Apart from seeing the ships and boats, you can do some window shopping in the stores located along the port. You can get some of the best international brands on display. Try out the restaurants located along the port. Car parking is available near the port. You can buy or rent yacht from Custom Yacht center. Boat maintenance and repairing service is also available. Bus no.s 105 and get off at Carrer Gran Via, 9. Try out the 12 restaurants located along the port to taste some of the best authentic foods of Calvia. How popular is Port Adriano? People normally club together Camp De Mar and Western Water Park while planning their visit to Port Adriano. Very beautiful and impressive place. Lots of coffee and restaurants, nice food and kind people. Beautiful beach. Fantastic restaurants at the port. Beautiful made port, but they could do way better with shops and the atmosphere..